The Sara Wan Trailhead that leads to Corral Canyon Loop Trail is perfect for anyone looking for a relatively quick hike (1 to 1.5 hours), classic Malibu ocean views, and moderately challenging inclines and declines. Upon arrival at the trailhead, there are two options for parking. There is a small parking lot for hikers at the base of the trailhead next to Malibu Seafood. This lot charges $5, or free parking can be found on Pacific Coast Highway to the north of Malibu Seafood. 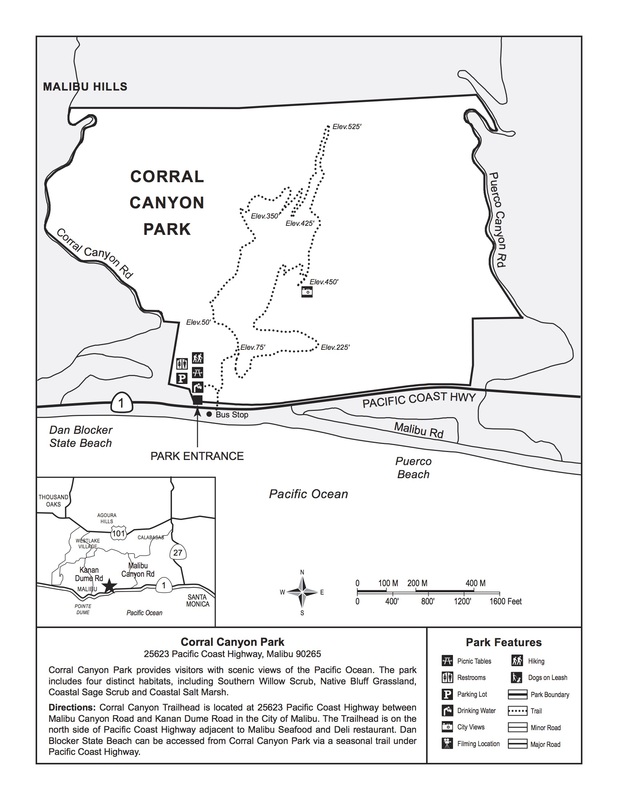 If it is not too crowded, we suggest parking on PCH since it is located very close to the trailhead. If you do park on PCH, please use caution parking your car and walking to the trail. The hike begins directly next to the paid parking lot. Find the sign that is marked “Coral Canyon Loop (2.5 miles loop)”. About two or three minutes into the hike you will come to a fork in the trail. We recommend the left trail because it will lead you up the hill and back around for great ocean views. If you take the right trail, you will have to look over your shoulder to enjoy the same ocean views. The first half of the hike takes you up towards the peak of the loop while the second half leads you back down to where you started. We highly suggest wearing shoes with some traction because some parts of the hike can be fairly steep. We also suggest bringing a hat, sunscreen, water, and a camera for the views. We hope you have a blast on this hike and enjoy the beautiful Malibu scenery!